Intent on breaking the stigma of mental illness, Therapy Twins offer a look under their hood and into their lives. 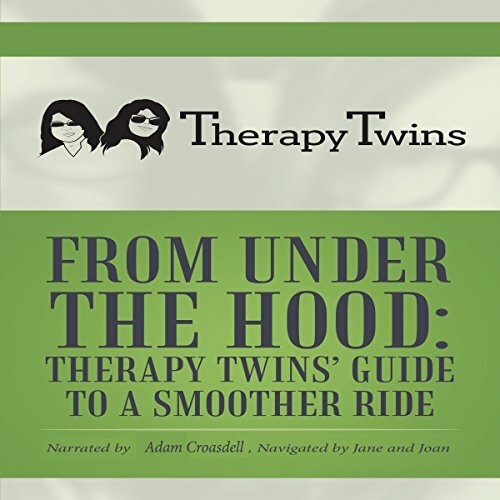 In From Under the Hood: Therapy Twins' Guide to a Smoother Ride, they reveal their own diagnoses with comedic twists while sharing traditional and nontraditional "tune-ups" to guide you through a journey of healing. A survival guide in a Cliff Notes kind of way, Therapy Twins address a host of issues related to your well-being. Learn how to: Rewire some of your worst experiences Get over that dude or chick who did you wrong Get along with family Receive a tune-up and restart your body, mind, and spirit Let go of bitterness and resentment and learn that forgiveness is the new "F" word Using Therapy Twins' personal experiences, education, and work as a backdrop, From Under the Hood: Therapy Twins Guide to a Smoother Ride presents both a memoir of two intertwined, difficult childhoods and a guide to overcoming psychological difficulties from depression, anxiety, and PTSD.